Those of you who’ve been following our blog since the beginning last August have probably noticed a trend by now – I really enjoy scheduling difficult workouts or races in quick succession. I find that these efforts are a test of my ability to recover along with my perseverance. Ready for my next Escape from Alcatraz. Almost. 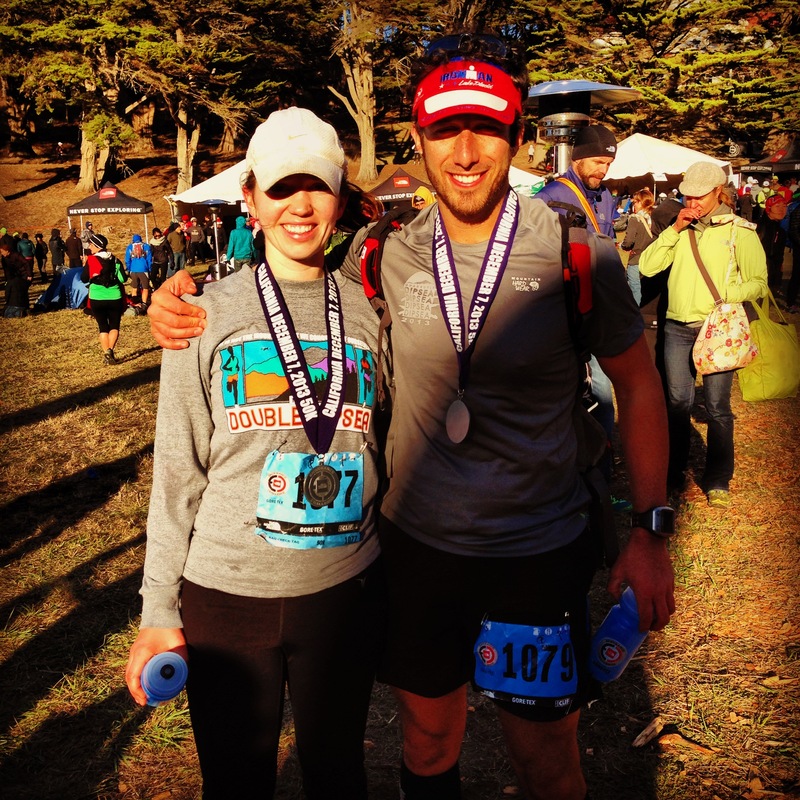 Last year’s challenge was the Quad Dipsea followed by North Face Endurance Challenge 50K with Taylor in consecutive weekends. 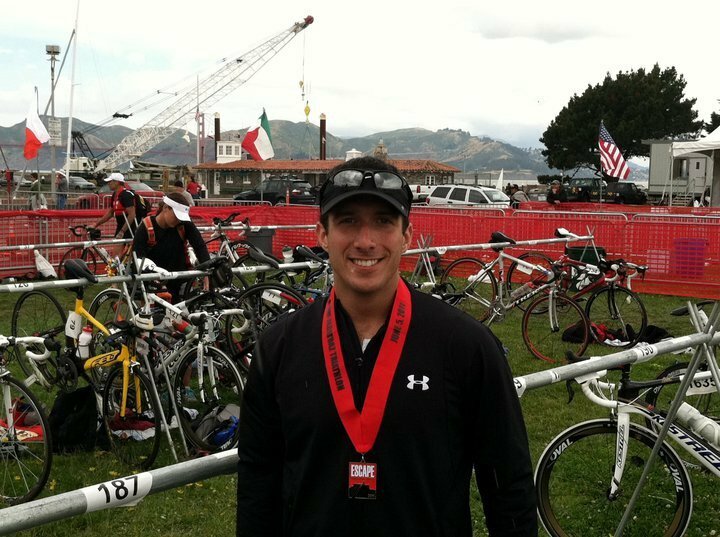 My primary focus this year has been long course triathlon, so I decided to go for an IronWeekend: I will be racing Vineman AquaBike – a 2.4 mile swim followed by a 112 mile bike, and then San Francisco Marathon with Taylor the following day – good for a full Ironman split over two days. 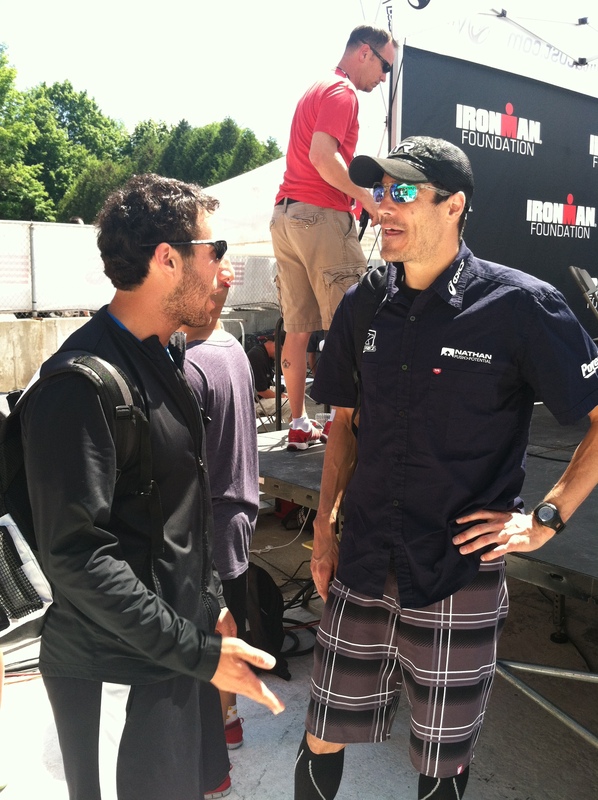 Asking 6-time Escape from Alcatraz winner Andy Potts whether this is really a good idea. I’m a big fan of doing races as my long workouts – between not carrying water, running/cycling on closed roads, and having a group to push me along, it’s worth the price of admission. Earlier this week, I decided to crank it up a notch by registering for Marin Century ride on August 2nd. I knew I would be riding close to 100 miles that weekend regardless as I approach my peak for Ironman Lake Tahoe, so why not ride a classic, well-supported event through my favorite parts of Marin? Half smile after 2 ultras in one week. CONGRATS! You won a free entry to the Alcatraz Challenge! Thank you for supporting GGTC’s tri expo by changing your Facebook cover photo. We really appreciate the support (and free advertising!). So congratulations, you have been randomly selected to win an entry to the Alcatraz Challenge on August 3rd! So as the old saying goes, when you receive free entry to swim from Alcatraz and run over the Golden Gate Bridge, you grab your seat on the boat. And there you have it – from July 26-7 and August 2-3, my weekends will consist of 4 distinct and extremely unique races. Wish me luck! Happy Friday! Wow, that’s a packed schedule, good luck! HOLY smokes!! That sounds amazing and terrifying at the same time!! Can’t wait to hear all about it!! I have always wanted to do a swim/bike because those are my strengths!! It will be like going to training camp. Packed weekends of volume back to back!! I’m impressed. Wow. Good luck! Exciting!! That’s so awesome that you got a free entry! So cool!!! I would love to do that race!!! I actually found your blog because I tagged Andy in my blog! I have met him a few times and he is such a great guy! Congratulations on the entry. Great way to fill in the summer race schedule.